This entry was posted on Monday, May 23rd, 2016 at 4:01 pm. If you follow me on Instagram, you’ll notice that I post about Villa Topiary a lot, but I can’t help it! They are the coolest shoppe out there! 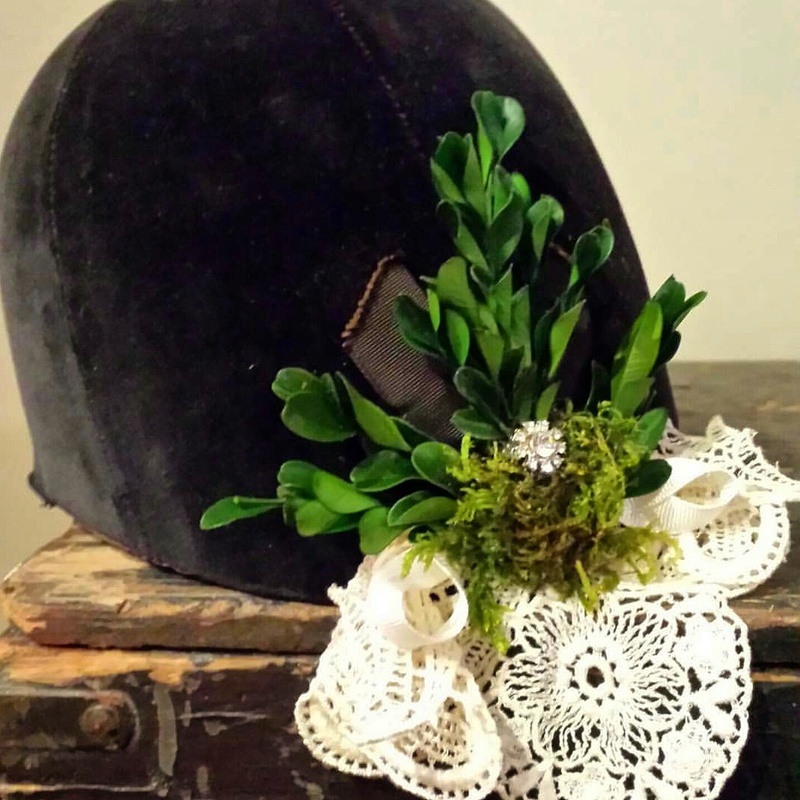 According to their Etsy page, “Villa Topiary creates unique, handmade preserved moss, faux boxwood and faux floral topiaries you will not see anywhere else. 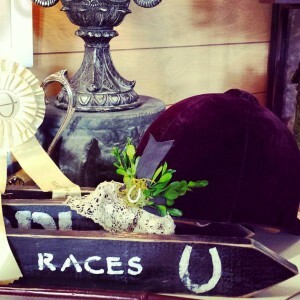 [They are] now expanding their shop to include vintage, vintage-inspired, and antique décor.” Squeal! I am now the proud owner of three items from Villa Topiary: a jumping topiary horse, a vintage Kentucky Club tin, and a wooden sign. All three are wonderful and of great quality. The jumper topiary goes with everything, and since it is taller, I can put something else in front of it, creating depth and giving the décor a nice, structured appearance. 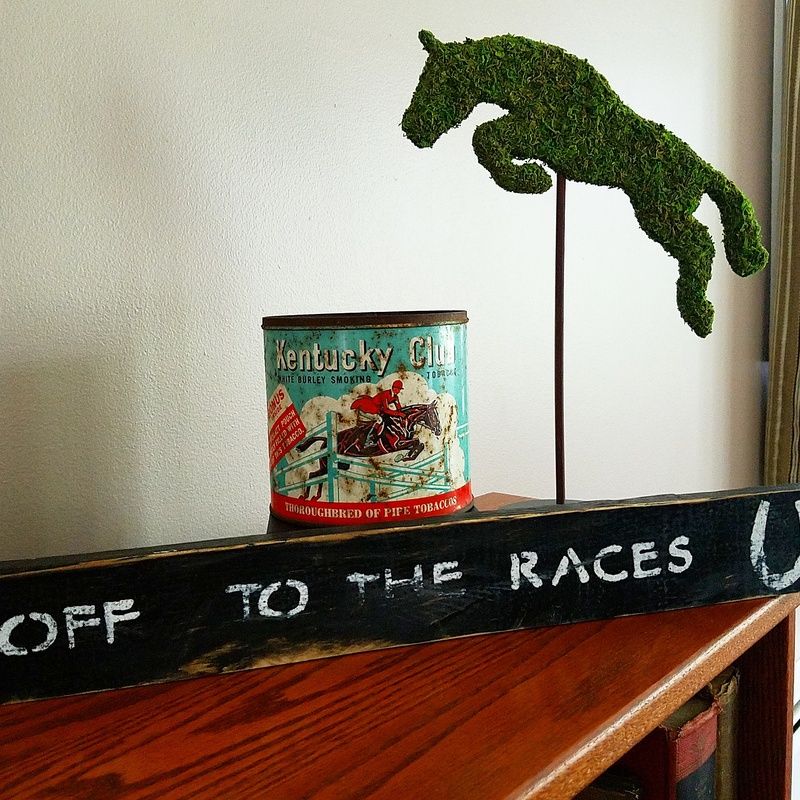 The Kentucky Club tin is a vintage find that goes perfectly in my home. 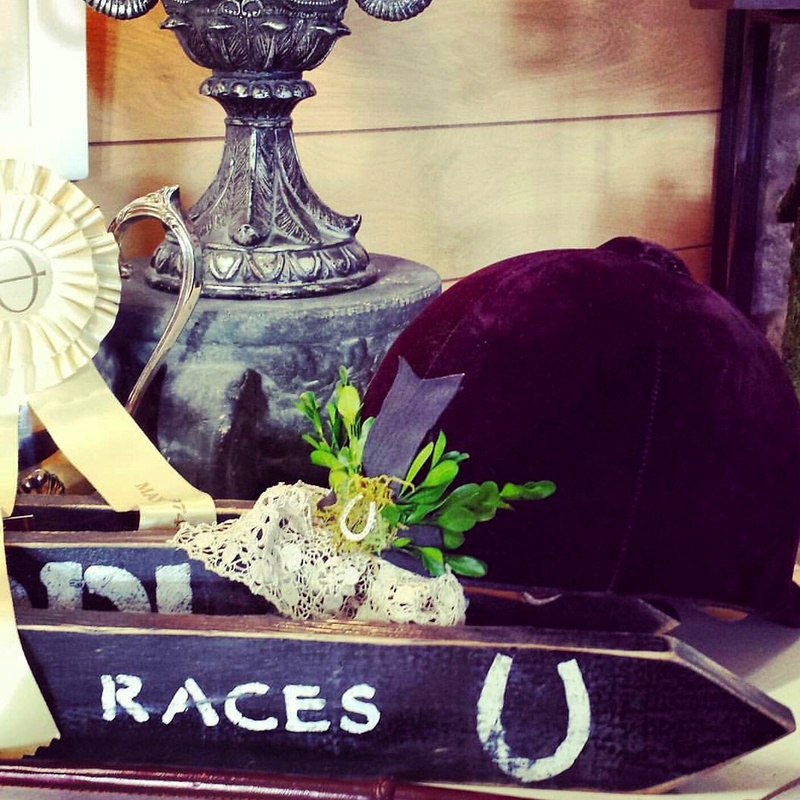 I love any and all things vintage equestrian! The Off To The Races sign is handmade by Villa Topiary as well, and is perfect for the horseracing aficionado in your life! I have moved it to multiple places in my home; I can’t decide where to leave it because it just goes so well everywhere! I’m thinking it will stay (at least for a bit) above the doorway of my mudroom. If you’re looking for some superb décor for your equestrian home, or for a gift for your favorite horse girl, look no further than Villa Topiary! Their selection is wonderful, their prices are right, and the customer service you’ll receive from owner Carolynn can’t be beat! Happy Shopping!